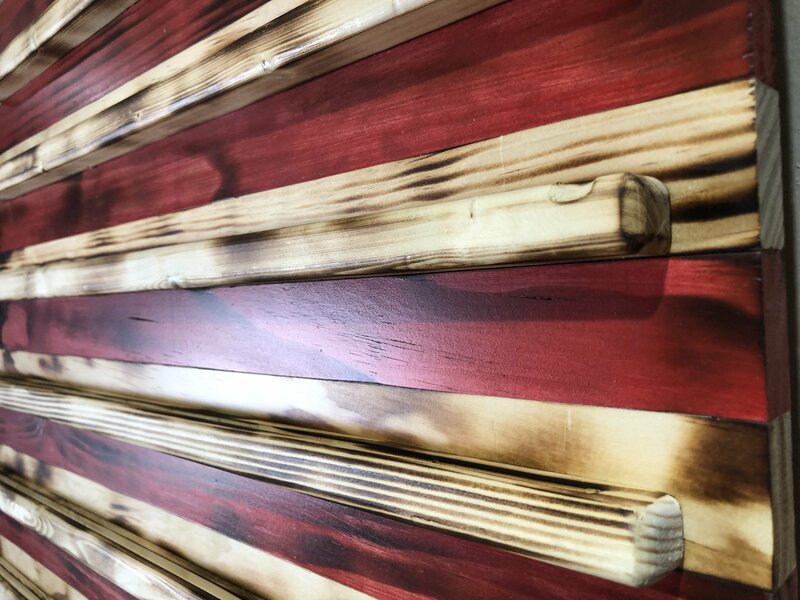 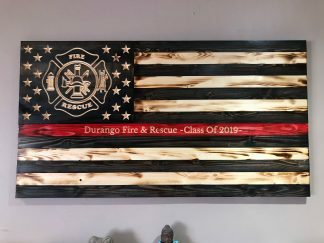 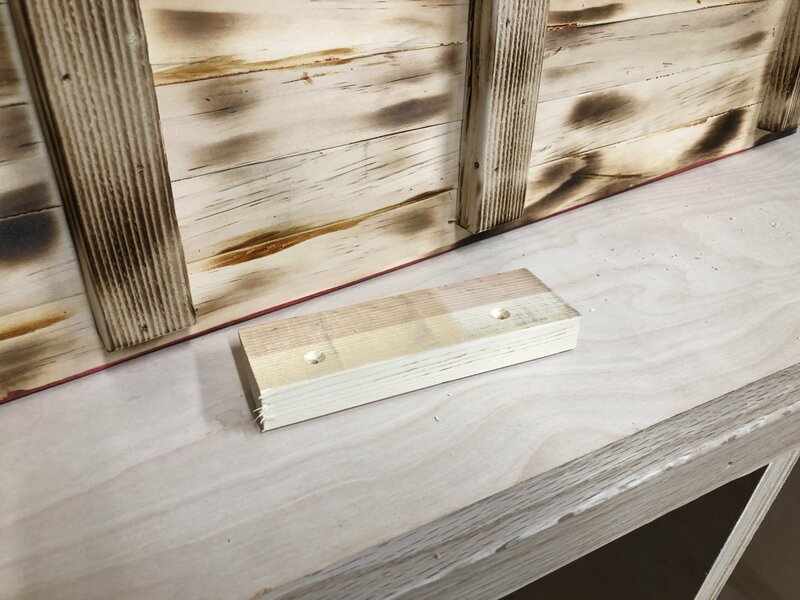 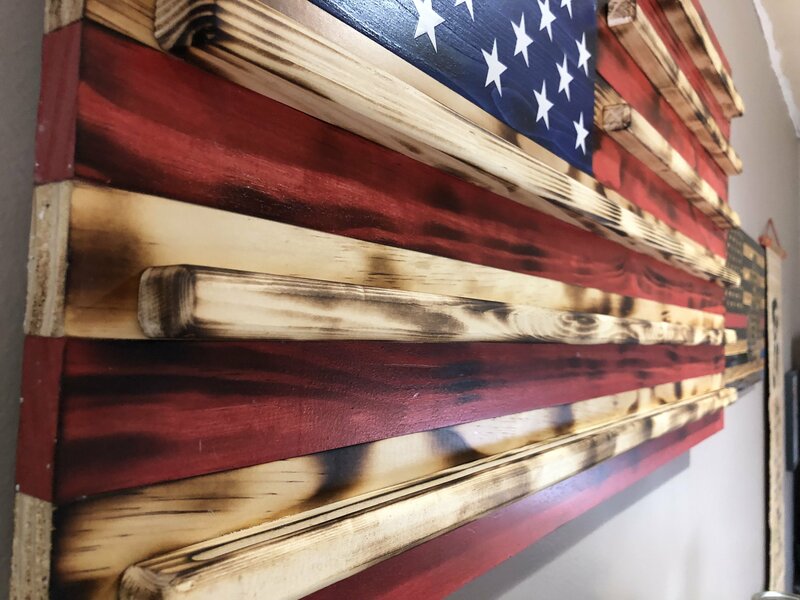 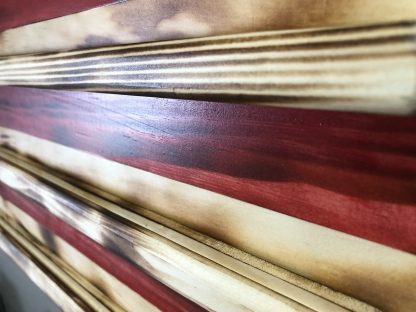 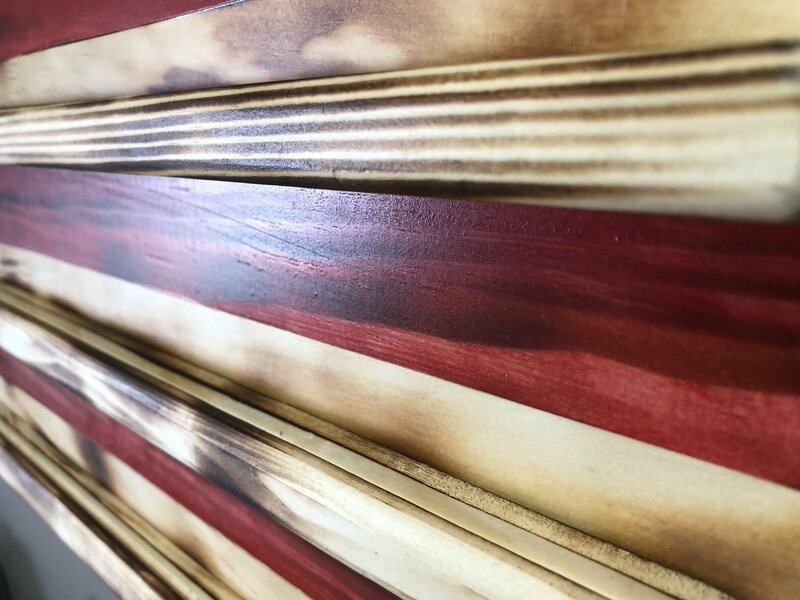 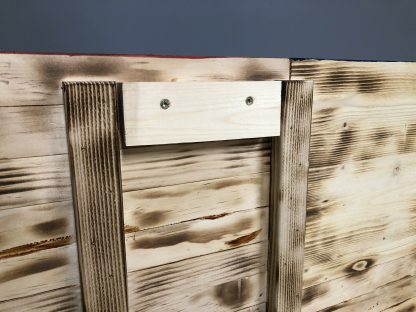 This flag has the natural section of the wood slightly burnt to bring out the character of the wood, stained. 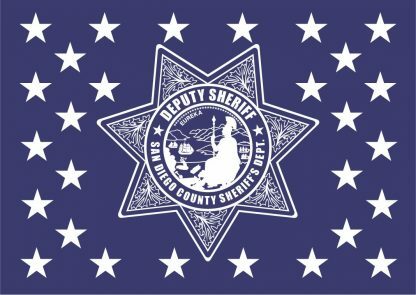 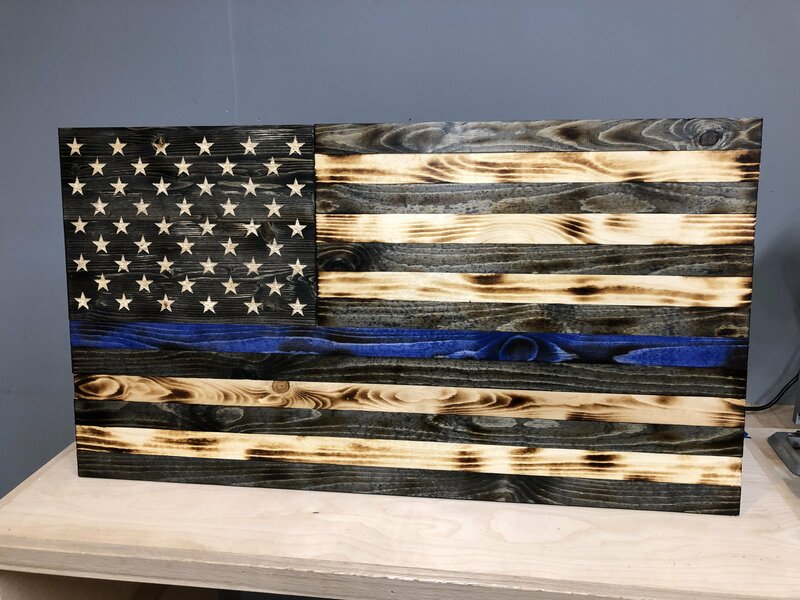 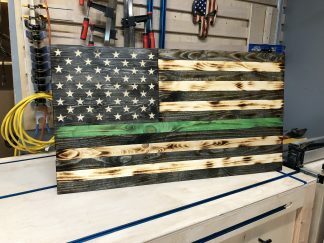 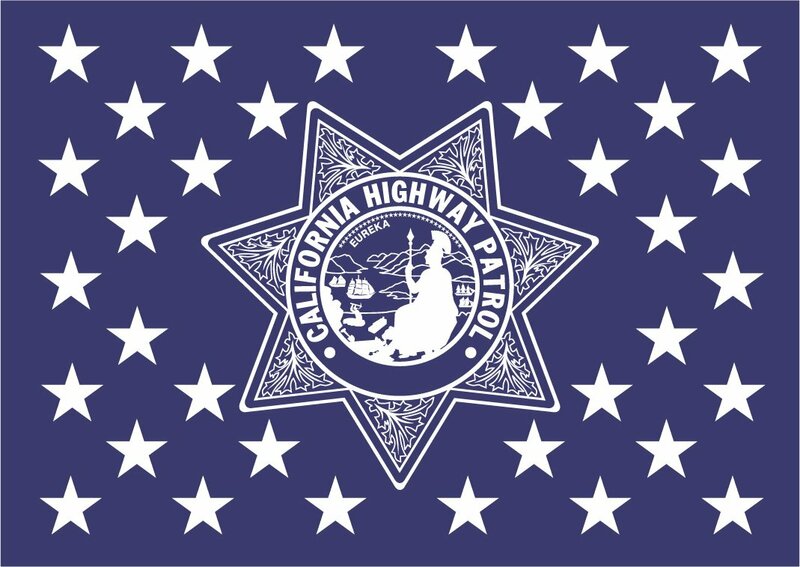 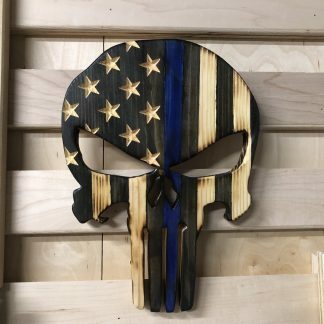 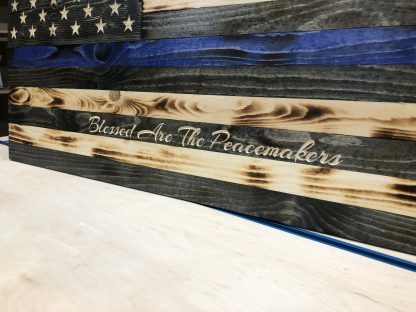 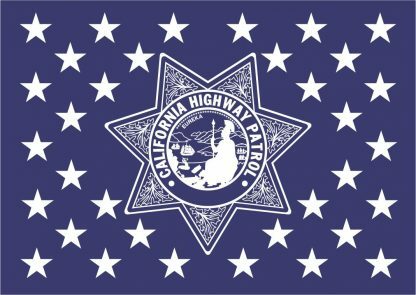 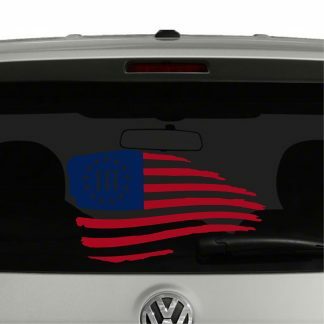 Show your support for law enforcement with this thin blue line wooden flag. 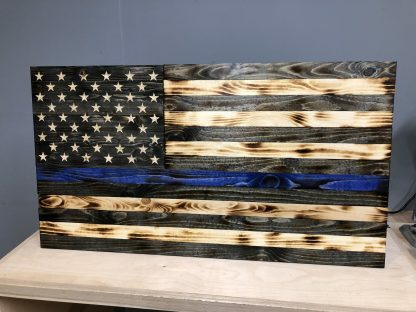 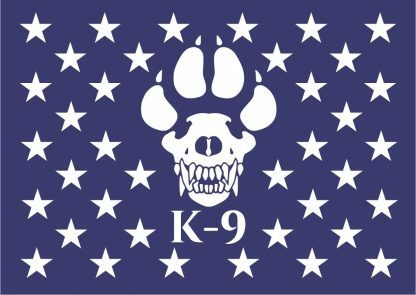 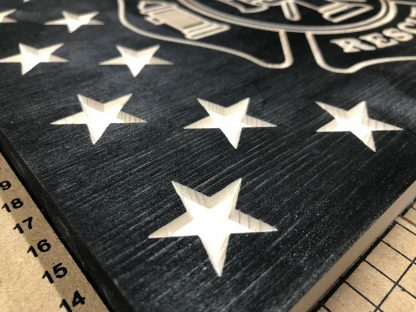 This Wooden Flag measures 19.5 inches high by 36 inches wide while being about 3/4 inches deep. 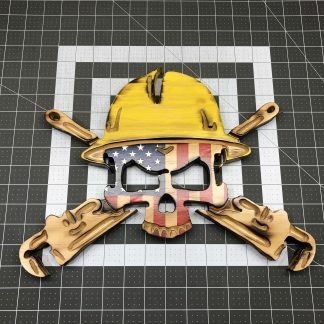 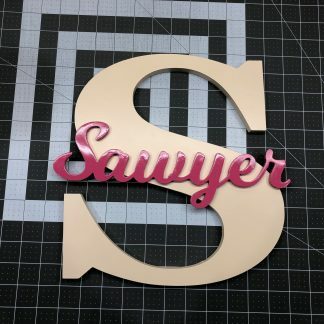 Each flag comes with a French Cleat mounted hardware ready to hang.